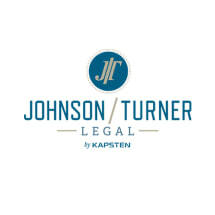 Proudly serving people in the Blaine, Minnesota, area, we provide dedicated family law assistance at Johnson/Turner Legal. Taking a cooperative approach, our team works alongside our clients to achieve efficient, effective and affordable solutions to matters involving issues such as divorce, spousal maintenance, property division, child support, and custody and parenting time. Our law firm understands how the settlements people reach today may affect the lives of them and their children for years to come. Our experienced mediators guide clients through the divorce process, helping them resolve the various issues that must be addressed, so they and their families can focus on moving forward. When dealing with an uncooperative spouse, however, we are prepared to aggressively advocate on behalf of our clients in the courtroom in order to see their rights upheld. Established in 2003, our law firm has office locations in Blaine, as well as in Forest Lake, Lake Elmo, Woodbury, Wayzata, Maple Grove, Minneapolis, Bloomington, Eagan and St. Paul. In addition to representing clients in the Twin Cities metropolitan area in family law-related cases, our attorneys also assist people with business services, bankruptcy, criminal defense, estate planning, probate, municipal law, and real estate and land use issues. At Johnson/Turner Legal, we meld the old school with the new. Traditionalists in our values and work ethic, we tirelessly advocate on behalf of those we represent. Our law firm has grown over the years to include a team of attorneys, paralegals and extensive support staff, and we employ the latest technologies to help efficiently and effectively manage our clients' cases. We accept credit cards. Johnson/Turner Legal is a debt relief agency. We help people seek bankruptcy protection under the U.S. Bankruptcy Code.